Kristen Bell is going to be taking us all on an adorable journey into the world of some of the most adorable creatures on the planet: panda bears. 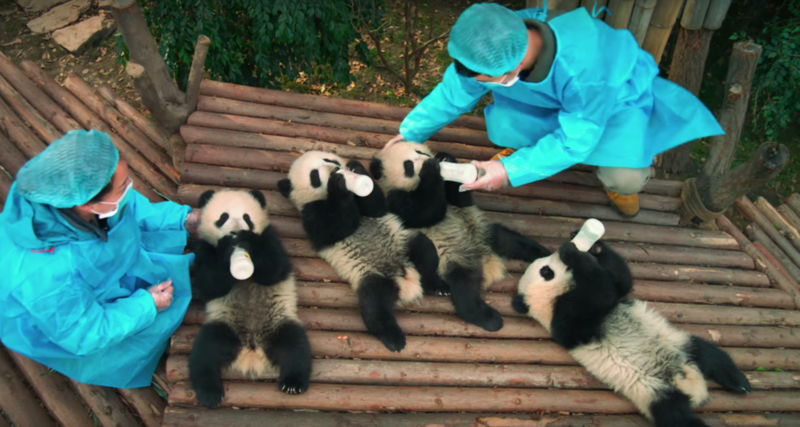 In a new IMAX original documentary, aptly title Pandas, Bell will be narrating the story of one panda cub named Qian Qian as she begins her life in the Chengdu Panda Base in China, and is ultimately released into the wild of the mountains of Sichuan to help protect the ever-declining wild panda population. The documentary — which just dropped its official trailer! — will span the globe as Chinese researchers reach out to an American black bear rehabilitation center in New Hampshire to help best equip Qian Qian with the skills she needs to be a successful wild bear. As the trailer puts it, the rehab center doesn’t so much teach these bears how to “be bears,” but it helps them unlock and channel those instincts that were within them all along. And seriously, we can’t wait to see Qian Qian grow up and learn to live her best life in the wild. From the looks of the trailer, this is just going to be the cutest film (in theaters April 6th!) out there. Though really, whether or not this film had any sort of a plot, I think most of us would be down with just watching pandas goof around on a giant IMAX screen. With known animal-lover Kristen Bell — we all remember that time she freaked out about sloths on Ellen — narrating the film and directors Douglas and Drew Fellman from Island of Lemurs: Madagascar behind the camera, this movie isn’t just going to be fun for the entire family, but will do a great job highlighting and hopefully spurring change in the panda population problem. We can’t wait to see this movie and follow Qian Qian on her adventures in the wild!